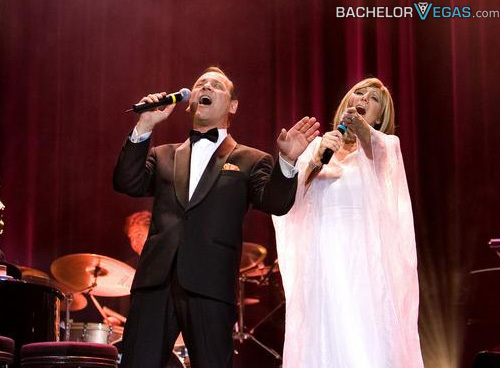 Barbra and Frank is a tribute show unlike any other. Imagine the two greatest singers together on tour and this is what you will receive. With Barbra and Frank you have a shot at seeing the best sights and sounds that two of the biggest music superstars could dish out. Of course, these two aren't the real Barbra and Frank, though they are so convincing you may not even know the difference. Sharon Owens stars as Barbra and Sebastian Anzaldo has the honor of portraying Frank. Depending on the song, you will hear both a live piano and a full orchestra backing these two up. The show consists of a medley of hits from both performers. You can expect to hear both Barbra and Frank's classic songs because it would not be a tribute show without them. If you are a fan of either performer you owe it to yourself to see this one. You must be 18 years old or over to attend this show. Seen the Barbra & Frank Show?